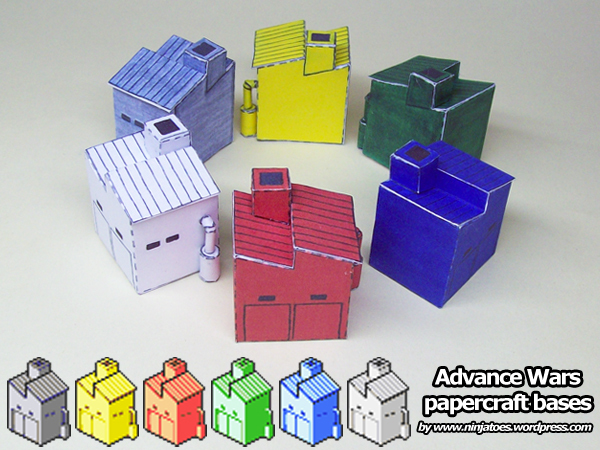 My Advance Wars models are all done by hand, so there’s no Pepakura *.pdo of them. – The parts are available as plain Jpeg files, packed together in a ZIP-file. To open a ZIP-file after downloading it, you will need an unpacking tool like 7-Zip. The Jpeg files inside can be printed with just about any image viewer. – The instructions are available as a PDF-file, and they can be viewed with a PDF reader like Adobe’s Acrobat Reader.